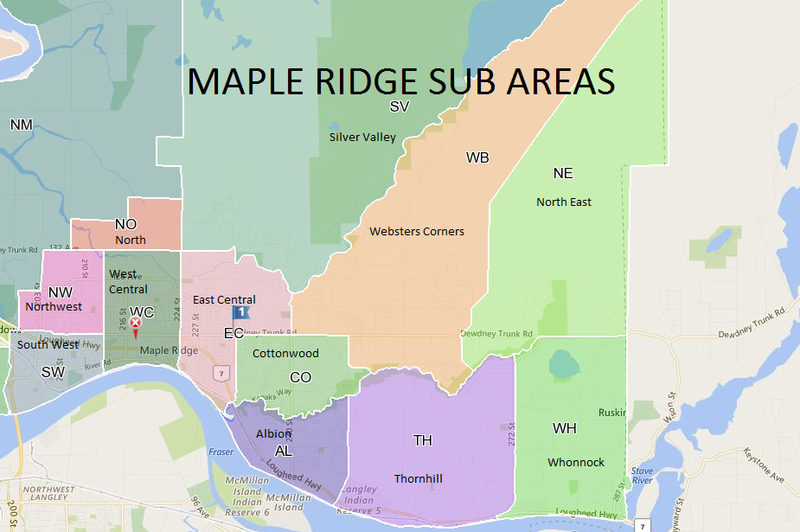 Situated between the majestic Golden Ears Mountain & beautiful Fraser River, the city of Maple Ridge is a great place to live and raise your family in an urban or natural rural setting. Maple Ridge offers up some great nature outdoor activities including hiking trails, horse back riding, farmers market, festivals, indoor gym recreation, ice skating rink, pools, golf courses, art and on going theatre performances at the Act. Maple Ridge offers it all! Click here for more details. To begin Search - Select "Area(s)" & "Property Type" First, then other features and scroll down for results below.